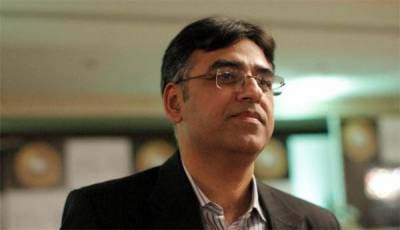 ISLAMABAD, Jan 28 (APP):Finance Minister Asad Umar on Monday said that government will fully exploit the export potential Pakistani classical furniture to boost the export of the country besides patronizing this sector to capture share in international furniture markets. Talking to Chief Executive Pakistan Furniture Council (PFC) Mian Kashif Ashfaq, the minister said that demands of PFC were given due importance and allowed duty free furniture raw material import for furniture manufacturer registered with federal sale tax . Asad Umar said Pakistan was blessed with artisans, craftsmen and host of other skilled force to produce best handmade furniture in the world and it has a huge demand in global market, said a press release received here Monday. He further said Pakistan was moving forward in a better position to attract international investment and it was highly praiseworthy that PFC was utilizing full available force to create opportunities for foreign investment in the country by creating business-to-business contacts with foreign furniture producers. He said that the young entrepreneurs were a great asset and future of Pakistan and they should focus on promoting Pakistani brands in foreign countries. He said young entrepreneurs should visit foreign countries with proper homework on target countries and products so that they could achieve meaningful results. Mian Kashif Ashfaq thanked Finance Minister Asad Umar on this occasion for ensuring support and assistance both financial and technical to revitalize the sick industry in Pakistan especially furniture sector which was gravely ignored during previous elected governments.